Burning Moon's Inside advice: Mountain Resorts Promo. Are you looking for an awesome get away this winter? I know I enjoy playing in the snow from time to time but we don't really get snow in Phoenix so we have to drive out of town in order to see any. One of the places I would want to go is Colorado, it is such a beautiful state and I have family there that I would visit. Introducing Chateau Chamonix, Mountain Resorts' finest Ski-in/ski-out vacation property in Steamboat Springs, Colorado. Chateau Chamonix offers the ultimate convenience of ski-in/ski-out accommodations. 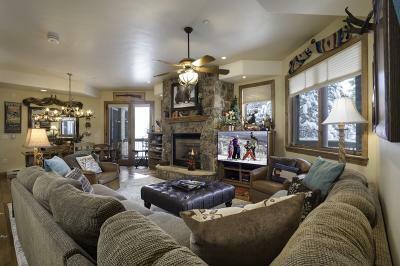 Sitting directly on the slopes of Steamboat's Mt Werner, Chateau Chamonix is the ideal location for a Rocky Mountains vacation just steps away from the Steamboat Snow School, the Kids' Vacation Center, and Gondola Square where you'll find an eclectic mix of shops and restaurants. Amenities include indoor/outdoor pool, hot tubs, sauna, fitness center and a complimentary shuttle for a quick trip to the grocery store or downtown Steamboat Springs. Choose a luxurious 2, 3, or 4-bedroom condominium, each with a full kitchen, gas fireplace, washer/dryer and wireless Internet. There's on-site check-in, complimentary hot beverages and pastries, as well on-slope ski valet and storage to make your stay as comfortable and relaxing as possible.